Yuko always told me "Just don't worry Yukirin. Mayuyu will always be watching you from up there" while pointing at the sky yet both of us seem so empty without her. These words will always be with me up until I die and when I do I'll be with you forever. The doctor told me: "Yuki-san. I'm afraid to say you're going to die in 3-4 months time" I was thinking What is wrong with me? 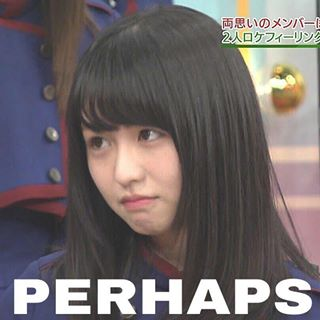 Will I see Mayuyu again? I thought about you and everyone else. I was honestly terrified at the fact. So I decided to graduate from AKB which was a decision I knew you were going to object but I had no other choice yet I wished I could carry out your fighting spirit whilst you were still in the group. I know my mom knows something about this mysterious illness of mine. So I did ask and she said "You have congestive heart failure. Your father and Mayuyu died from this illness and I didn't want to tell you because you would've broken down . Yours is only in its early stages but when Mayu graduated hers was in its late stages and sadly took her life." If you only told me Mayuyu, I would've comforted you when you needed it the most. I'd give you hope and faith when you needed it. I know you're up in heaven somewhere. I can't change my memories with you. They're just... there. As I said I tried opening my heart to you... you just... just... disappeared. So I put barriers around my lovelife so I wouldn't to go through heartbreaks again. I want my lovelife to be with you Mayuyu. I always imagine us under that sakura tree every morning before sunrise like we used to before you died except... as a couple. Now I'll be gone and will be with you. You did this in tune to 1D's song. Alternate endings? That sounds interesting. I can't wait for update. Good luck and welcome to the thread. I guess that means I need to prepare my heart everytime you update. You never know I might pop up with a fluff MaYuki oneshot and you can't be so sure~ I'm writing the endings now ^_^ <<<< Harunyan and Takamina????? "She didn't make it, we tried all we could but Takahashi-san's heart wasn't a clear match for Kashiwagi-san." Everyone dropped down to the floor with me watching them from above so... does that mean I'm a ghost? I think it does and yet someone seemed to be coming up to me whilst poking my back, "Yukirin... I'm with you now, I kept my side of our promise and you kept yours. I didn't realise your father had the same condition as I did yet you suffered the same fate as me. I honestly didn't want that to happen, I was watching the whole time Yukirin. I love you more than anything in the whole world. Maybe we were meant to be together just in unreasonable circumstances." Mayuyu said in a comforting tone. I was dumbfounded at the fact that Mayuyu was willing to stay by my side no matter what the circumstances are. Now we're just two ghosts living happily together. What other kinds of fanfics do you like to write? Who are your other OTPs besides Mayuki and Kojiyuu? On the cafe terrace wrapped up in sunlight. I closed my eyes for a second and I saw you. A perfect guy for me, I wonder how or who made me find him but I thank them. I think I should go talk to him. "I'm Takahashi Minami," I said, "You might know me from my father's business." "As a matter of fact I do know your father personally but our meeting was just a coincidence," he said , "My father knows him from a mutral friend"
I thought why would he be smiling at someone like me.... Oh gosh I need to go for a meeting. "Yuko-kun can I meet you here?" I said needing to rush our fateful meeting. Why does it have to be the restaurant where Yukirin and her boyfriend Mayu work? I don't know but we just have to put up with it. Hey, I wonder if I am I being too serious in love? Again I saw him in a lavish suit which might of cost him a few thousand yen. I just wore any dress that deemed fit really. I told Yukirin to reserve me a table for two in a booth but I don't think she listened but heyo. "Yukirin~ Didn't I tell you to reserve a booth," I said in sign language since Yukirin's deaf. "Well I didn't know did I because your sign language was weird at the time," she said. Even though she was deaf she could speak clearly and for some reason she dated a guy who was mute. They do look good together though. Even if I say so myself. I don't need my father to follow me around all the time. I admit I was spoilt. But when I realised it I changed for the better. I need support and comfort. I can't worry about the past now all I need is you Yuko. "Takamina who's this handsome man?" Yukirin said as if she was a stalker. "He's Oshima Yuko the famous marathon runner," I said in sign language . I don't really care if he's not for me or not or whether we'd make a cute couple. I just want a relationship of my own. Yukirin has Mayu, Mariko has Miichan. I'm just left alone. "Yukirin who are you talking to?" Mayuyu said in sign language. "Takamina," she replied in sign language ," And she has company." "Who is it," he asked peering out the window, "Hey Yuko." "Yo Mayuyu!" He said in sign language. It looks cute when your embarrassed like that. Our love isn't just one that burns. But one that I feel is perfect and right for me. I feel we can entertain each other and comfort each other. It makes me feel warm inside. It makes me feel special with you everytime I'm with you Yuko. I've been sneaking around looking for love for too long. I'm finally done looking because I've got Mr. Right. It will be the two of us from now on. I don't need anything special I just met you near a cafe and suddenly fell in love with you. Your my perverted squirrel Oshima Yuko. Anyway guys Part 1 of a OS I was writing. It has Yuko x Yuki, JuriMayu and AtsuMina. I can't put KojiYuu or AtsuYuu since I've got my 2 oshis Currently untitled. "Oto-san, what do you mean?" Jurina, the oldest daughter asked her father curiously as her younger brother Mayu sat idly behind her. She knew her father really well. He was the type to tell really long stories but he wasn't really into telling his children his lovelife. Then their mother arrived from work. Everyone knew her as 'The Natural Born Idol' and became busier and distant from her family... That was when the family became disfunctional. Every now and again Jurina and Mayu could hear yells and shouts coming from their parents bedroom which made the younger son traumatised until now. He couldn't take any of it anymore. So he stood at the sidelines. "Hello Yukirin," he said stubbornly, "How was your day at work?" "It was fine Yuko. Nyannyan told me to tell you that she never wants to know you again after what you did to her yesterday," Yuki replied back bluntly. The two of them were as tense as ever. Never mind that, the children were terrified of their parents auras at this very moment. The moment the two parents started yelling at each other, Mayu took the chance to sneak outside. He walked and walked until he knew the large house in front of him. He nervously knocked on the door to see if the owners were there and to his surprise a short man appeared in front of him. "Mayuyu, come in," he said. "Thanks Takamina-ojisan," Mayu said as he was walking through the door. As he walked into the lounge area he noticed his godmother on the other side of the room. Atsuko was surprised, it was Christmas eve and her godson was in her home by himself. She knew he was having all sorts of problems with his parents and knows their problems too. 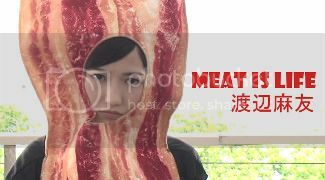 "Mayuyu you shouldn't be going out like this," Atsuko said worried for his wellbeing. After all the boy had many ups and downs. Thanks ^_^ I wasn't really expecting it either I like your icon~ Can you do artwork for me?? If it's possible? Omg did you really met her??? I hope they would still be idols when I go there. I don't need anything special I just met you near a cafe and suddenly fell in love with you. Page created in 0.504 seconds with 20 queries.